Well, it looks like it was Julyan Stone who impressed Coach Casey and the Raptors front office for that final roster spot. 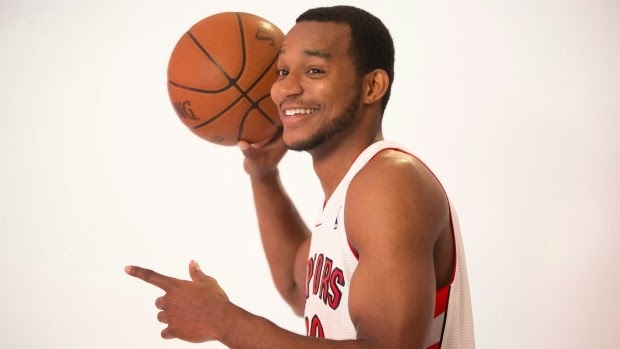 The Raptors announced yesterday that they have waived forwards Chris Wright and Carlos Morais. Going into the preseason, Chris Wright was a familiar face to Toronto and looked to have a strong chance of locking down that final spot with his previous experience with the Raptors summer league and playing on last season's Raptors preseason roster. But it was Julyan Stone, the 6'6" guard, who won the battle for the last spot. The former Denver Nugget has been impressive in the preseason. He has proven his defensive abilities to Coach Casey and his staff, displaying his ability to guard at multiple positions. He's a natural point guard that can bring the ball up the floor but can also play the SG/SF positions. Having Stone on the roster provides some depth at the point guard spot behind Kyle Lowry and Dwight Buycks. The Raptors open the season against the Boston Celtics on October 30.